SPCA International | Mr Bones & Co.
A spontaneous decision to pull a Pitbull from Brooklyn ACC’s Kill List set a series of events into place that would ultimately create Rescue the Runway, a unique live music, fashion and animal adoption benefit that debuts in NYC on May 15, at a venue dedicated to rescue, the New York City Fire Museum. A sleepless night on Facebook led me to the next day’s kill list, where a skinny dog with that trademark enormous lemon-shaped smile, red freckles and cow-like markings was staring back at me from my iPad. I had seen many like him, and had absolutely no intentions of adopting a second dog until that moment. On the drive to pick him up I decided to name him Bones. His personality bounced off that fuzzy ACC photo- silly and happy, despite his current state of being. But when I met him and saw how extremely emaciated and sick he was and the signs of abuse and neglect that streaked him like a yellow highlighter, it was evident this dog deserved a bit more respect, and so he became Mr. Bones. The following months were spent rehabilitating him and healing the damage of his past years. My other dog, Charlotte, became his best friend and helped begin his “normal” life. Mr. Bones was a labor of love and it was not easy. But despite a life defined by cruelty, this incredibly playful and affectionate Pitbull chose love. His ability to forgive what humans before me had done to him led me to start Mr. Bones & Co., an animal welfare non-profit dedicated to supporting established shelter and rescue groups. The last twelve years of my professional life in special event marketing has brought me here and I will happily follow this path wherever it takes me! By shopping with the following brands you can help raise funds for Mr. Bones & Co. Please click on these links and a portion of your purchase will be donated back to our nonprofit by our generous PAWtners! 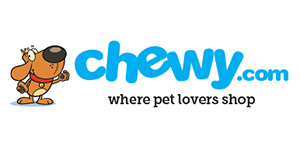 Chewy will donate $20 to Mr. Bones & Co. for anyone who places their first order by clicking through to their page from here. 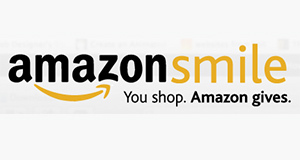 AmazonSmile will donate .05% of your total purchase each time you shop on Amaozn.com while activating the AmazonSmile feature. Please be sure to search for an find "Mr. Bones & Company Inc" when you are shopping so that the donation comes through to our organization. Follow us for Regular updates on our programs and animals!